In 2013, MMSB and the Town of CBS partnered to develop an Illegal Dumping Surveillance Program. Through the program, MMSB offered financial resources and technical training to communities that wanted assistance implementing effective surveillance and enforcement programs within their jurisdictions. Funded through a $65,000 investment from the Waste Management Trust Fund, the program was based on the successful surveillance and enforcement initiative implemented in CBS. Over the long-term, MMSB hopes to leverage the knowledge and capabilities developed by participating municipalities to establish a team of illegal dumping experts who can support other communities in dealing with illegal dumping. 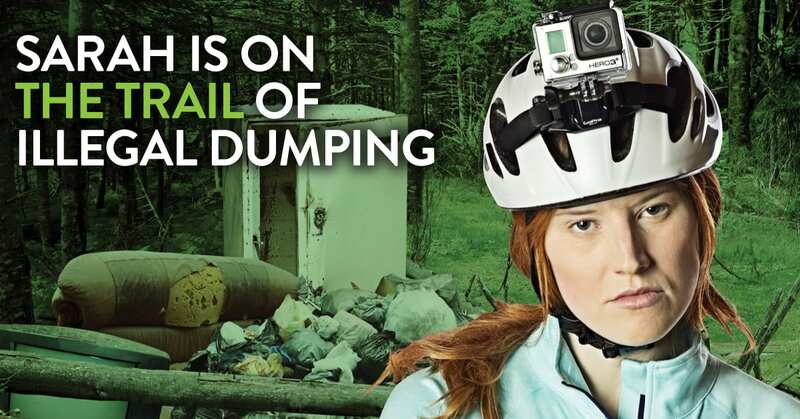 The Royal Newfoundland Constabulary has also dedicated a Liaison Officer to work with municipalities in their jurisdictions to enhance enforcement and investigate reports of illegal dumping. MMSB and NL Crime Stoppers have partnered to encourage Newfoundlanders and Labradorians to help stop illegal waste dumping in our province. Anyone can anonymously report suspicious activity by calling 1-800-222 TIPS (8477) or by emailing or texting Crime Stoppers. Those who call with a tip are not required to provide their names. This partnership, which builds on the Illegal Dumping Surveillance Program, is funded through a $45,000 commitment from the Waste Management Trust Fund over three years. Funding will be used by Crime Stoppers to operate the program, which includes payment of tipsters and operational expenses. Your anonymity is guaranteed and you will not have to testify in court. Learn more at Crime Stoppers.